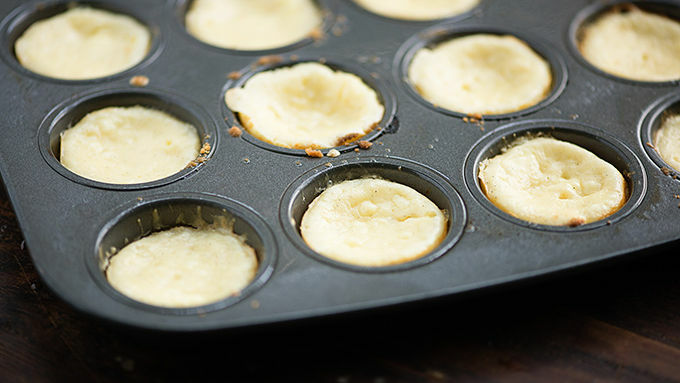 Liberally spray a mini muffin tin with non-stick cooking spray. Crush the graham crackers into fine crumbs. Stir in the butter to combine. 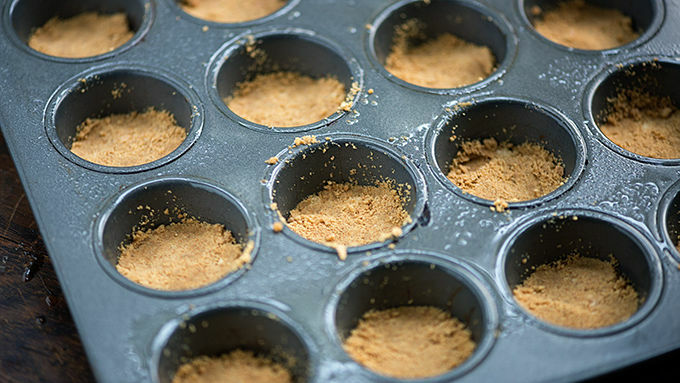 Scoop a heaping teaspoonful of the graham cracker crumbs into each muffin well. Press to form the crust. In a large mixing bowl, beat together the cream cheese, sugar, eggs and vanilla extract with an electric mixer on medium speed until well combined. Spoon the mixture evenly among the muffin tins, filling each one nearly to the top. Bake for 15 minutes. Cool for 2 hours. Warm the hot fudge sauce in the microwave. Spoon 1 teaspoon of hot fudge over each cheesecake cup and spread it out. 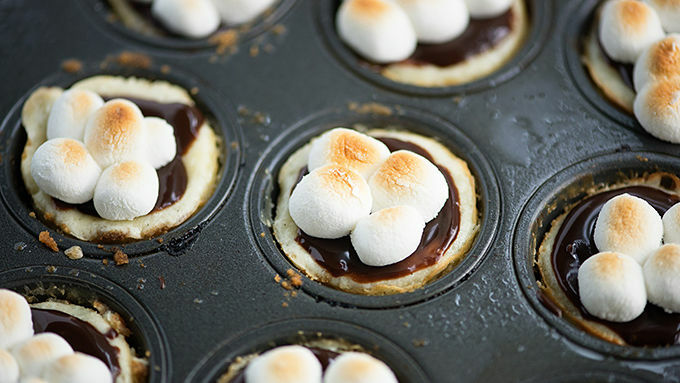 Top each cup with a few mini marshmallows and place under the broiler for 3 minutes or until the marshmallows are toasted. Refrigerate for 4 hours before removing from the muffin tins and serving. Keep a close eye on the marshmallows as they will burn quickly under the broiler! I don’t want to alarm anyone—but did you know that if you spend time outside you could get bitten by bugs? And you might even get hot and sweaty. Or maybe you’ll get a bit of dirt on yourself. Being in nature is not exactly my favorite thing, as you can probably tell. However, s’mores totally are! 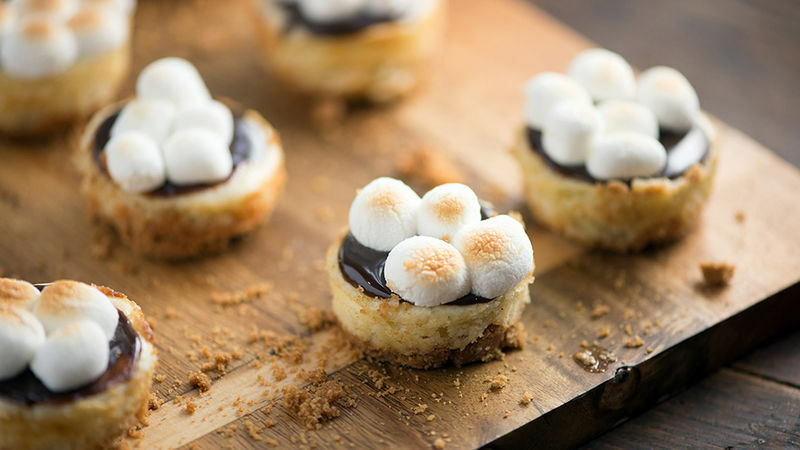 So let’s bring the s’mores indoors in these totally tasty and portable little cheesecake cups. I saw this big mama s’mores cheesecake and knew that I needed to make a mini version. I love how they turned out, and I think you will too! This recipe could not be easier or more delicious!